I’m sure most of you have at least heard the name Fannie Farmer and are aware that there is a famous cookbook that bears her name. But how much do you know about the woman herself? Fannie Farmer was a woman of keen intelligence, unusual motivation, avid curiosity and deep personal courage. Fannie, born in 1857 in Medford, MA, to Mary Watson Merritt and John Franklin Farmer, was the oldest of four daughters. Her father was an editor and printer and both parents placed a high value on education - it was expected that Fannie would go to college. However, when Fannie was 16 she suffered a paralytic stroke and could not continue her education. For a number of years after her stroke she was unable to walk and remained in her parents’ care. It was during this time that Fannie developed an interest in cooking. At the age of 30, Fannie, who now walked (though she would have a pronounced limp for the remainder of her years), enrolled in the Boston Cooking School. This was at the height of the domestic science movement and the school utilized a scientific approach to cooking and food preparation. It also trained women to become cooking teachers at a time when their opportunities for employment were limited. 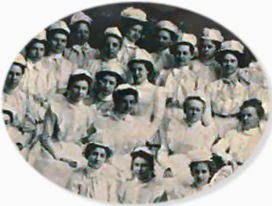 Fannie attended the school for two years, learning what was considered the most crucial elements of the science - nutrition and diet for the healthy person, cooking for convalescents, methods of cleaning and sanitation, techniques of baking and cooking, and general household management. During her time as a student, Fannie studied under Mary J. Lincoln, who published the Boston Cooking-School Cook Book. This cookbook was used in a number of cooking schools, most of which were established for the training professional cooks. Fannie proved herself to be one of the school’s outstanding students and was kept on after she graduated as assistant to the director. During this time, Fannie started exploring the association between eating and health. She went so far as to take a summer course at Harvard Medical School to aid in her understanding of this connection. Eventually she was appointed school principal and then, in 1894, director. It was just two years later, in 1896, that Fannie revised and reissued The Boston Cooking School Cookbook. The publication of Fannie’s book was a highly significant event in cooking history. Before this publication, ingredient measurements were imprecise using terms such as ‘the size of an egg’ or ‘a teacup full’. Fannie’s cookbook introduced the idea of using standardized measuring utensils with an emphasis on taking care to use level measurements.. In addition to the more than 1800 recipes, the book included scientific explanations of the chemical processes that occur during cooking as well as essays on housekeeping, the importance of cleanliness in the kitchen, canning and drying produce and nutritional information. Little, Brown & Company, who produced the book, didn’t think the book would do well and so only produced 3000 copies, which were published at the author’s expense. However, the book proved so popular that Fannie saw twenty-one editions printed during her lifetime. It has remained a standard work and it is still available in print today, over 100 years later. Fannie continued to serve as director of the Boston Cooking School for eleven years, then resigned and went on to establish her own school. Miss Farmer’s School of Cookery, as it was known, emphasized the practice of cookery rather than just theory. Its target student were housewives rather than future academics. Fannie’s school also focused on developing cooking equipment for the sick and disabled. She became a highly respected authority in this field and was invited to deliver lectures to nurses, women’s clubs and even the Harvard Medical School. Her lectures were printed by newspapers nationwide making her influence widespread and her name a household word. 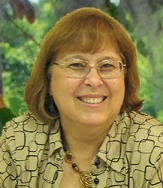 She also wrote a popular cooking column for the national magazine, the Woman’s Home Companion, that ran for ten years. Chafing Dish Possibilities, Fannie Merritt Farmer, 1898. Food and Cookery for the Sick and Convalescent, Fannie Merritt Farmer, 1904. What to Have for Dinner, Fannie Merritt Farmer, 1905. Catering for Special Occasions, with Menus and Recipes, Fannie Merritt Farmer, 1911. A New Book of Cookery, Fannie Merritt Farmer, 1912. Later in life, Fannie suffered another paralytic stroke that confined her to a wheelchair for the last seven years of her life. However, that did not prevent her from carrying on her responsibilities. She continued to lecture, write, invent recipes and travel. In fact, just ten days before her death, she delivered a lecture from her wheelchair. Fannie died in 1915 at the age of 57. Fannie Farmer was a fascinating woman. Her strength and courage spoke volumes. I had no idea about her stroke at 16. That certainly changed the course of her life and what a life she had. Thank you, Winnie, for sharing this most interesting post. 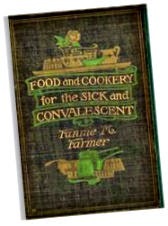 I love to read about cooking and recipes....Fannie Farmer sure made the most of her trade! Hi Melanie. Thanks for dropping by and yes, many of the things I read about Fannie added to my admiration of her. Thank you for this article. I loved learning more about Fannie Farmer and the Boston Cooking School. I have a copy of the Boston Cooking School cookbook by Fannie Farmer that was, I think, my grandmother's. Maybe it was her mother's, I'm not sure. I'm not sure what edition it was because there was no dates that I could find, so it was before they started always putting in publishing dates. Hi Susan. What a treasure to have one of the original copies of her book! I'm sure you cherish it. Winnie, thank you for an excellent article. I have a paperback reproduction of Fannie's 1896 Cookbook plus a hardback copy of the 1923 revision. It's inscribed "Used this book in Home Making at John Tarleton College 1923-24 - Bertice" She was a family friend and a marvelous cook. She marked some of her favorite recipes for me before she gifted me her very used cookbook/textbook. Early in our Ancestry.Com searches, my sister and I found our John Franklin Farmer (great grandson of husband of our 3rd great grandmother). Alas, it wasn't Fannie's dad. Bummer! The Farmers in dad's family loved to cook/bake. Dad was a baker in the Merchant Marines and continued to bake breads and rolls all of my life. Thanks for bringing back wonderful memories. Hi Linda. You're quite welcome! Glad the post brought some pleasant memories back to mind. Winnie, thank you for educating me about Fannie Farmer. I had heard her name all my life, but never knew what an an accomplished woman she was.